This book provides an account of the emergence, nature and impact of armed youth gangs in an East London Borough over the last decade. It describes the challenges these armed young men and women pose to their communities, those charged with preventing crime and those struggling to vouchsafe 'community safety'. While the focus of the book is 'local', the processes it outlines and the effects it chronicles have both a national and international relevance. It argues that the main reason behind the emergence of the armed youth gang has been the coalesence of two previously discreet socially deviant groups; the rowdy, episodically criminal, adolescent peer group on the one hand and the locally-based organized criminal network on the other. The book analyses the impact of the globalisation of the drugs trade and the consequent shift in the focus of local organized crime from the 'blag' to the 'business'. 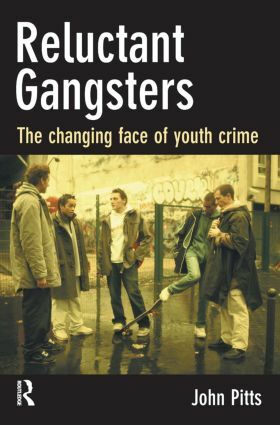 It also discusses how socio-economic and cultural factors, as well as family and neighbourhood histories and loyalties and localized racial antagonisms all play their part in the emergence of the armed youth gang.